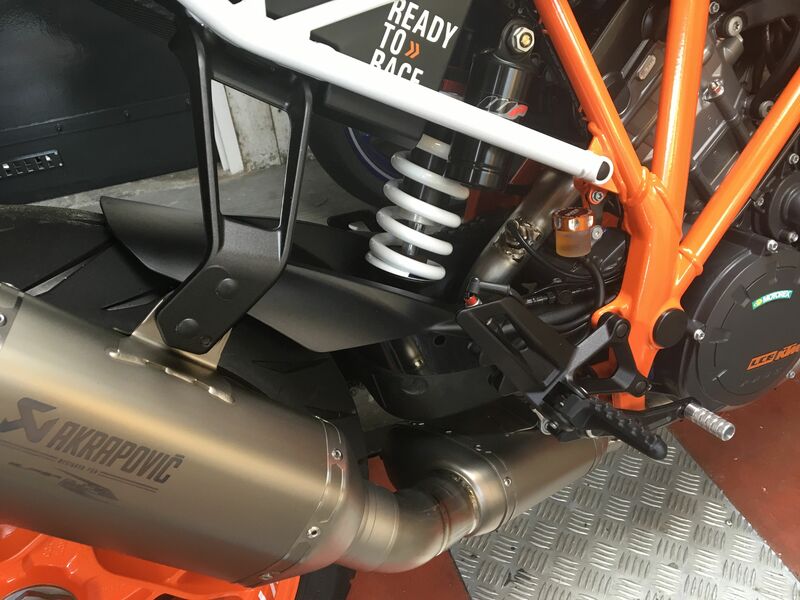 superduke forum • View topic - Exhaust valve servo delete dongle source? Exhaust valve servo delete dongle source? Just ordered an Akrapovic full system from USA dealer. How do I deal with the exhaust valve servo? A dongle? KTM part? Other source? 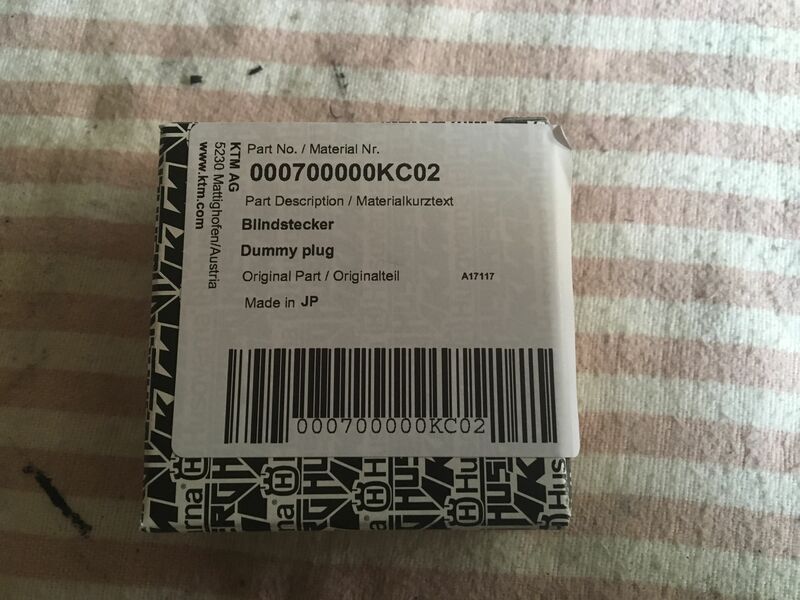 Re: Exhaust valve servo delete dongle source? Should be part of the kit (or tune) I think. 2017 full exhaust has a different part number than 14-16, probably for this reason partly, so make sure you get the right one. Freude am Fahren wrote: Should be part of the kit (or tune) I think. 2017 full exhaust has a different part number than 14-16, probably for this reason partly, so make sure you get the right one. Yep it has the dongle and a bracket for the rear brake reservoir. Just installed mine yesterday,for the valve connector there is a plug . Not sure what it does I measured all pins no resistance. And for the reservoir there is a bracket. Thanks! I'll check correct part number tomorrow. Just an update. Had the full system from the 2016 which fits without issue and the servo just removed and the wiring wrapped in heat shrink and tucked away. No cap or dongle needed for it. The dash does come up with warning lights and all electrics seem to be disabled but runs fine. Once the akra map is on all lights go off. The akra. So fuelling is pretty good as put it back on the dyno afterwards. Also power commander now have a map for the Akropovic's on a 2017 as they used my bike as development bike. Rottweiler is selling a servo stopper that installs on the servo to mimic the flapper valve and prevent the dash lights from coming on.